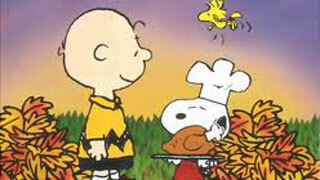 Join us for the Charlie Brown“feast”! Fun for the entire family. Do a craft, play games and enjoy the “feast”. Space is limited to family tables. Parents must accompany the children. Call and sign up today! The library will be closed on Thursday, November 25th all day to observe Thanksgiving.We will reopen on Friday, November 26th at 9am. Help the environment and your library. Bring in your empty cartridges and we will recycle them. The Friends of the Library uses the money to support library programs. The list of accepted cartridges is at the library. We do ask that you put the empty cartridges in plastic baggies for us. Are you not able to get out of your home? Do you know someone who loves to read but is unable to make it to the library? The library offers a service called home-bound delivery. We have 2 staff members who will deliver materials tailored to the patron’s interests on a regular basis, usually once a month. Large print books, cassette books and books on CD are very popular with home-bound patrons. This service provides many hours of diversion for the home-bound patrons; as well as an enjoyable personal visit with a member of the library staff. Call the library to arrange a visit. The library has upgraded 8 of the public internet computers to include Microsoft Office 2007. There is a significantdifference in the newer version and if you need assistance using it, please don’t hesitate to ask. The library also offers free computer classes including one on Microsoft Word 2007. Please stop at the desk for more information. The Langsdon Rock & Mineral Collection is available for viewing during regular library hours. Free guided field trips are offered for educational groups of any age level. Participants get hands on experience using our gold miner’s pans and kits. These programs are flexible, depending upon the age group and the goals of the leader. These mineral tours are lead by Professor Ken Strickland and Marilyn Thobe.